This Halloween, instead of taking your brood pumpkin-picking or corn maze-exploring, celebrate the season at Hersheypark in the Dark. 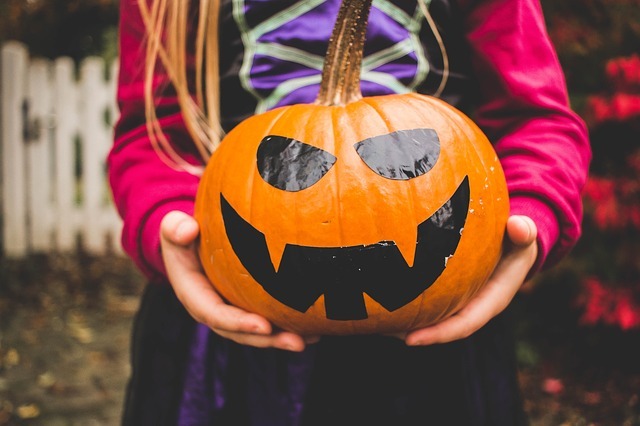 The amusement park's mix of family-friendly Halloween fun and slightly spooky activities ensures that there's something for kids of all ages. Hersheypark in the Dark is happening every weekend now through October 29th. The price of your general admission ticket includes access to the Trick or Treat Trail, comprised of 13 candy stations with top-notch sweets, courtesy of Hershey. You can also check out Creatures of the Night at ZooAmerica—but make sure to bring your flashlights along. You'll need it for the nighttime tour of the zoo, which highlights nocturnal critters. If you're bringing older kids to Hersheypark, have them attempt the Thrilling Thirteen. If they ride all 13 of the park's coasters in a single night, they'll not only earn bragging rights, but also have the chance to zoom down hills and through loops with the lights turned all the way off on select rollercoasters.